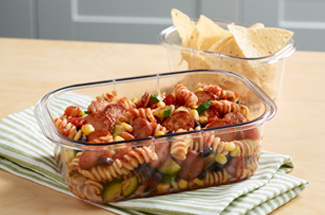 This simple, flavor-packed Tex-Mex pasta is perfect for weekday nights – plus, you’ll look forward to leftovers for lunch. That is, if there are any leftovers. Cook pasta according to package directions; drain, reserving 1/2 cup water. 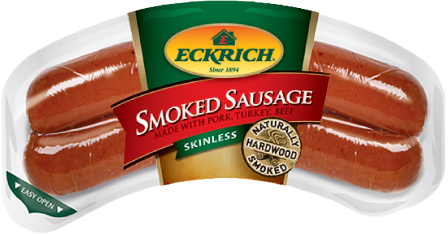 Slice Eckrich Smoked Sausage into thin coins. In a large skillet, heat oil over medium heat. 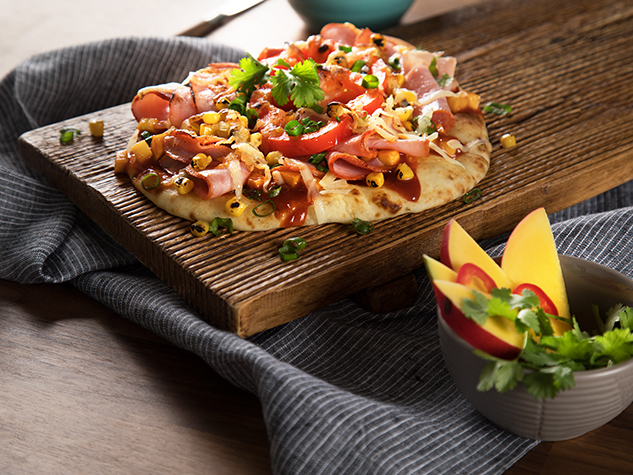 Add smoked sausage, zucchini and corn; cook 5 to 6 minutes or until zucchini is tender, stirring occasionally. Stir in tomato sauce, salsa and seasoning; continue cooking 3 to 5 minutes or until thoroughly heated, adding some of pasta water if necessary for creamier consistency. Stir in half of cheese; top with remaining cheese and olives. 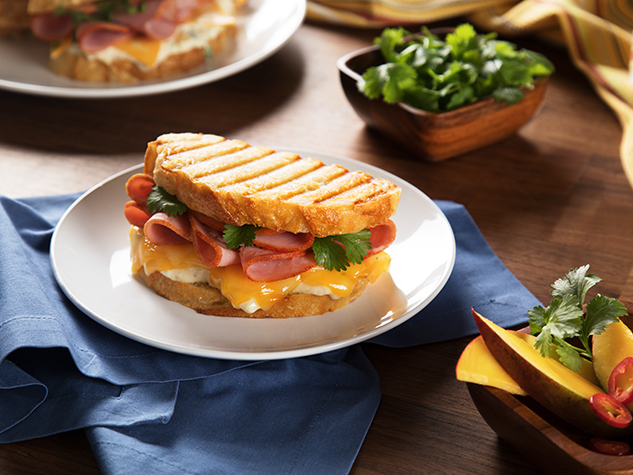 Tip: Substitute 1 (10-14oz) package of Eckrich Skinless Smoked Sausage Ropes, 1 (10-14oz) package of Eckrich Beef Skinless Smoked Sausage or 1 (10-13oz) package of Eckrich Turkey Skinless Smoked Sausage for the Cheddar Links and enjoy another great flavor! 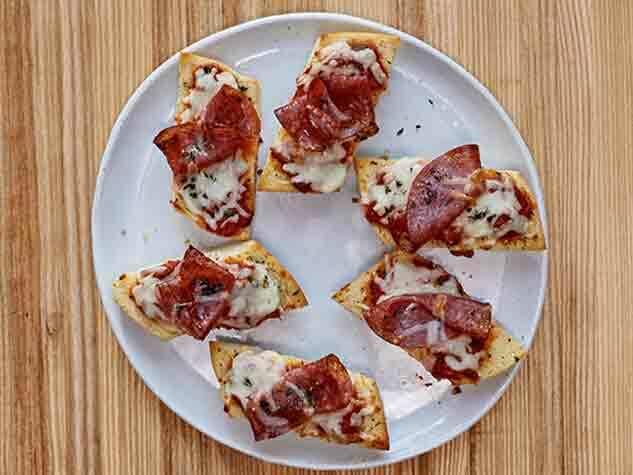 Sprinkle with green onion slices and or chopped cilantro.